The way to end a bad dream is to awaken. In sleep, a terrible nightmare causes you so much disturbance that you eventually escape that dream by waking. Now from the awakened perspective, you realize that it was only a dream and that there’s nothing to be afraid of. Calm settles over you, you close your eyes and drift off into a peaceful sleep. To believe you are only this physical form, this body and mind in this time and place, is like being lost in a dream without knowing it. To be spiritually unaware, in the egoic state, is to experience the ups and downs of temporary highs followed by suffering and depression. All the while, you are afraid because you feel vulnerable—seeing this temporary existence as all there is. Terrible suffering, like a terrible dream, reminds us that there is a way out. We remember that it is possible to awaken. Life gives you whatever level of suffering you need to reach this point of escape from the dream. If a little bit of suffering doesn’t do the trick, here comes a bit more, and still more, and finally a challenge so impossible, a pain so deep that you reach your limit. Spiritual awakening is like coming up for air, entering another realm, finding peace and love like you’ve never known. From this higher perspective, life is no longer scary. You can rest your head on the pillow and go on—this time without the ups and downs, without the suffering—in peace and stillness. This time the colors are more alive, there is beauty everywhere and life becomes a good dream. These spiritual teachings are pointers that I hope you remember when the suffering becomes too great. Better yet, don’t wait for any more suffering. Come up for air now. Awaken. Escape the ego. More people than ever are awakening to presence—consciousness becoming aware of itself. Awaken from life while you are still alive, while you can still enjoy this dream. We continue tomorrow and each day after that. Beauty is experienced only when the mind is still. The greater your ability to see without thought or to observe without labeling, the greater your capacity to experience and appreciate beauty. Others may talk of a beautiful day, comment on a beautiful flower, but true beauty can only be experienced in the absence of thought, the absence of words and labels. “The mind, left to itself, creates monstrosities.” Most of today’s art and music is created from the mind. An artist who does not know how to stop thought cannot create anything of beauty—only works of ambition that exhaust an audience rather than inspire. These miscreations of the mind may grab the attention of other minds for a moment but, absent of beauty, cannot inspire and therefore cannot endure. An egoic work of ambition sometimes produces short-term success, but only after massive promotion. As promotion fades and a new hit emerges, it will disappear and be forgotten. Works of true beauty, on the other hand, slowly grow in popularity and then endure for ages. That which is truly beautiful is timeless. To create from the realm of spirit, the zone of complete knowledge, requires no thought and little effort. Giving birth to a true work of beauty leaves you energized and inspired. Here there is no ambition, no desperation, no awareness of competition and no possibility of failure. To perceive from the realm of spirit is to let go of the problem of information overload. You easily ignore that which was created only with the ambition to engage your mind. Instead, you notice only that which is truly beautiful—that which connects you to the realm of love, life, and truth. Now we learn to create gaps in thought so that we can see beauty tomorrow and each day after that. To believe attack is real is to make it real. By choosing fear over love, we have decided against freedom. We have given our power to those we call our oppressors. Yes, egoic people and institutions wish to exploit us and to take advantage of us—as they have done for thousands of years. How we have feared, fought back, resisted, and complained—yet it has only continued. Now we have come to believe that perfect joy and peace is impossible in a world filled with so much hatred, ignorance, violence, and oppression. This is the choice of defeat. If we do fight back, we do so in the ways we are taught by authority—pulling us in to the very thought system that has created the misery we wish to escape. We argue, we defend ourselves, we threaten, we cast blame and shame, we beg and plead—as if egoic solutions like these might solve the problem of ego. As if anything of value can be found in the external. You can call it “blaming the victim” if you want (egoic words with no meaning), but those who identify as victims are complicit in the suffering of the world. Playing this role, we have learned to ignore our intuition, to sacrifice, and to turn against ourselves as we have been instructed—adopting the insane values of corporations, governments, schools and churches. We have made real these institutions. Our faith has been in the impermanent—the external. There is only one truth, though many ways to arrive at it: spiritual ignorance is the problem and spiritual awakening is the solution. You cannot be persecuted because your true identity is not this physical form. You are energy, spirit, and the love inside you is what is real. Consciousness is existence beyond physical form, and it is only here that are untouchable as we exist in peace and are eternally safe. Nobody can stop us from aligning with spirit. We can love all--forever free to serve, and create in true inspiration. We can turn off the news and listen to our hearts. The thought system of complete knowledge cannot be threatened. You cannot be attacked. This is faith. We continue tomorrow and each day after that. The ego emotionally responds to attack with anger, then seeks revenge in the name of “teaching a lesson”. But spirit looks beyond the attack form, sees only a brother or sister in need of love, and desires only the opportunity to offer that love. The error of attack is always a cry for help—a misguided plea for love, peace, happiness. Any form of attack—including shaming, blaming, shouting, accusing, judging, punishing, or even sarcasm—is an expression of uncontrolled egoic pain (i.e. “the pain body”). If you are not yet fully-conscious, there is a risk that attack might pull you into the egoic state and you will respond on the level of attack. But when you identify with spirit, which cannot be diminished or threatened, you need offer no defense. A defenseless response to attack or threat is an unemotional “could be” or “is that so?”. While this feels unnatural, you will find that this passive response diminishes the egoic position by failing to offer it any support. To defend yourself, on the other hand, makes the whole thing real. When the pain body has finally retreated, you might talk lovingly with the person suffering to find out what the real need is (which of course is always love). Accept, forgive, move on. This is not your diminishment—this is you at your greatest, as a miracle worker. “What is a good man but a bad man's teacher? If you don't understand this, you will get lost, however intelligent you are. Consider the sanity of these beliefs. Can the actions of another really be an attack designed to hurt you? Isn’t it more likely that the perceived offense isn’t about you at all; rather, about the other person expressing something or even just living freely? Even if you do perceive error, use the language of love—unconditional acceptance and forgiveness—to correct it. If an attack is directed at you, might it be that the intention is to communicate something or “teach you a lesson”? Perhaps this person has errored in the belief that attack is an effective learning instrument. Respond without anger and teach that it is not. Everyone has a thought system, and everyone teaches it by living it. A person who believes attack is real believes that that blame, shame, or punishment can teach a lesson. In truth, attack only teaches that anger is justified and that violence solves problems. If you believe your attack has ever solved a problem, you believe in an illusion and you are being deceived. If attack teaches only anger, retribution, and even inspires deceit, then perhaps it is time to erode this flawed thought system. “You cannot be attacked, attack has no justification, and you are responsible for what you believe.” Indeed, you are spirit and spirit cannot be attacked or threatened. Identify with spirit and perceive all forms of attack as a call for love (we discuss this tomorrow). Seen in this light, love is the appropriate response and return attack is never justified. You are responsible for your thought system. Now we choose peace rather than anger. We continue tomorrow and each day after that. The ego interprets everything it sees for the purpose of itself. So what is the egoic self and what does it want? The way we have been describing ego, one might imagine some terrible parasite. You might think I’m suggesting that an egoic person is one who is “possessed”. My response would be; yes, that’s exactly what the ego is. The Bible uses the ancient metaphor of a serpent or the devil. Most Christians haven’t realized that being saved is just another term for escaping the ego. These Christians are attempting to interpret The Bible through the ego; therefore, nothing is interpreted correctly. 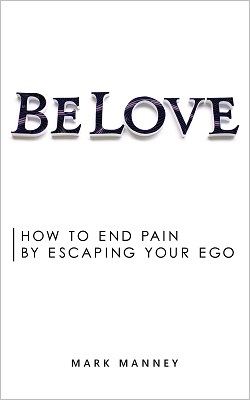 Eckhart Tolle sometimes calls ego the pain body. Indeed, to be possessed by this parasite is the source of all pain and suffering. The ego, like any creature, must feed. Every so often, it gets hungry for more pain, more drama, more suffering. It gets so hungry that it is no longer satisfied by just torturing you. It must feed by attacking another. The simplest solution for the ego is to attack the very people we claim to love. The ego turns families into an emotional, toxic wasteland—the perfect environment for the ego to thrive. We fight, yell, throw stuff, and then in the end proclaim, “I’m sorry, I don’t know what came over me.” The answer is clear: you were possessed by ego and it needed to feed. Now it got what it needed and can remain under control for a litlte while. But it will happen again and again until you learn to slay this terrible creature inside you. To live in the egoic state is normal in this world. It is also the cause of all suffering in this world. There is only one way to beat this parasite: simply identify with spirit. Choose love, acceptance, forgiveness and the ego within you will die. Also, the ego cannot survive if you become fully aware of the present moment and learn to live in this state. Most people believe that you need some ego. I have found that it is possible to escape ego entirely and that nothing of value is missing in this exchange of guilt for joy, viciousness for love, pain for peace. Spirit reminds you that you have the power to destroy this ugly serpent. “Delay does not matter in eternity, but it is tragic in time.” We continue tomorrow and each day after that. How do I experience present moment awareness or living in the now? After you finish reading this sentence, close your eyes and watch your next thought very carefully. Did it take a while to come? For that moment, you were fully in the now. No thoughts, only awareness. Everyone has experienced the present moment, but few have fully experienced the now as a continual state of existence. Today, we go deeply into presence. Stop entirely what you were doing. Savor these words, pausing to look around the room, observing every detail: the colors, textures, movement, sounds. Don’t label or interpret anything, just observe. If thoughts enter, accept and release. Now we go beyond what can be seen or heard. Notice the inner essence behind everything. Feel the life of this moment, notice how everything slows down. Here time expands. Just like when you were a child—you feel so much quiet energy in just noticing a common moment. You have awakened. One more suggestion: get The Power of Now by Eckhart Tolle on audiobook. Next time you take a long road trip, just let it play. Remain focused entirely on the words, notice the trees zooming by, the birds, the sun, the rain, the clouds. Embrace the constant change within the stillness. You can drive all day in this state and you will experience bliss rather than fatigue. This same state of existence is reached after days on a quiet beach. It is available always, even as we are cooking, brushing our teeth, talking with our children, or at the grocery store. This is you as truly yourself. In the flow of the now, you are at your most effective, most powerful, and most beautiful. We continue tomorrow and each day after that. It’s not what you are doing or where you are going—but how. Of course it is helpful to have some sense of where you are going or what you are trying to accomplish—but success depends upon your state of being during this step, this moment. If you are sacrificing the present moment in a race toward some imagined future destination, then the quality of your doing cannot be great. You may be getting more done than others, you are sacrificing everything, certain that you deserve results, but true success is not possible because you are miscreating from the ego. To truly create, to achieve any form of great success, you will have to go back and start again—this time in spirit, which exists in the now. Better to stop any doing. Go meditate. Relax. Get yourself to a place of feeling good, find peace, feel inspiration. Notice everything about the present moment. Now, follow your intuition and let it flow without much thought. Your mind follows what feels like divine inspiration and creation is effortless. This is called being in the zone—the state of being that gives birth to all forms of beauty and greatness. We continue to learn to live from this place tomorrow and each day after that. If it can be threatened or destroyed, then it wasn’t true to begin with. Despite this, the world has taught us the ways of the ego. We have been good students and have been quite complicit in this attempt to destroy truth. Here, lives are wasted because ultimate failure is inevitable. Know this and instantly let go of all fear: nothing can threaten truth. Fear, if justified, implies that there is something of value that can be destroyed or lost. To live in truth is to realize there is nothing real to fear because nothing real can be taken from you. Fear is just one emotion that goes by many names: worry, shame, guilt, jealousy, depression and all other negative emotions. From these emotions flow errors like theft, attack, greed, judgement, anger, abuse, murder and all other errors. Belief in fear is belief in separation—the illusion that there is a “you” which is special and different from the rest of the universe. Live according to the world’s attempt to destroy truth and risk sacrificing your entire life in service to a lie. But acceptance of truth is the release from all fear, the undoing of all error, the end of all suffering and the fulfillment of your life purpose. The opposite of fear is love. Love is bliss, happiness, creativity, giving, caring, inspiration, laughter, beauty, lightness and all other positive states of being. There is no miracle beyond love, because only love is powerful enough to end all suffering. Acceptance of love is the embrace of spirit and the awareness of life. Love is what you are. All other identities are illusions that breed error. We continue this undoing of error tomorrow and each day after that. What do I want? This question must be answered, and you are answering it each moment. Can the answer to such a simple question be difficult? Spirit and the ego are the only choices open to you. To seek other options is to choose ego. If you are skeptical or unsure, then you have already made the decision and are living it right now. What does it mean to choose ego? Belief in ego is belief in separation. You believe you are your thoughts. You are cynical, sarcastic, argumentative, competitive, and want to be right. You believe you are special and get frustrated because few seem to see it. You fear the opinions and decisions of others and obey authority even as you claim to rebel. You are up, then you are down. You try then fail. You “would be happy if”. You are often jealous, angry, and even lose control. You think teaching can occur through attack (shaming, blaming, reward and punishment). You see suffering and illness as inevitable. You seek temporary escape from the torture of your own mind. You fear. The choice of ego is normal, and it is insane. Most people don’t know that there is another option. The other choice is spirit. To say “I want spirit” is to learn to exist fully in the present moment, to know that you are not the voice in your head, and that love is the only way. Love is unconditional acceptance, forgiveness, helpfulness and understanding. In love, there is no confusion, no drama, no good and bad, no suffering, no sacrifice, no struggle. Real love (not what the ego calls love) is always the right response to everything. Choose love, choose the eternal now, and align with the spirit which is already within you. Spirit offers everything, but first the ego must be undone. That is what we are doing here now, tomorrow, and each day after that.